Home #BigExpose How The EC’s ‘Mystery Technology’ Destroyed The ‘Mass Voter’ Future In Telangana? How The EC’s ‘Mystery Technology’ Destroyed The ‘Mass Voter’ Future In Telangana? 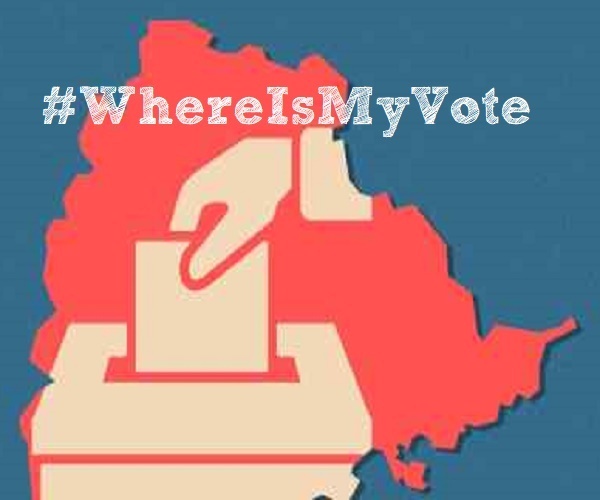 The trending hasgtag #WhereIsMyVote emerged as one of the most trending hashtags on Twitter as thousands in Telangana took to social media to vent their anger at finding their names missing in the voter’s list on election day. 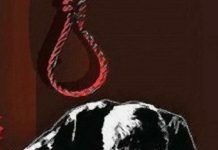 The missing names and the ensuing anger and chaos outside polling booths across Hyderabad and other districts is not surprising though. #KhabarLive had highlighted that the Election Commission of India had deleted 30 lakh voter names in the state based on an opaque de-duplication software. The algorithm, source-code or the maker of the software is unknown as the EC has not provided details. Primary among the concerns raised to the Election Commission of India and Telangana’s Chief Electoral Officer (CEO) in October was the issue of nearly 30 lakh deleted voters from the state’s 2018 electoral roll. In PILs submitted to the Hyderabad High Court in October and November, petitioners had also questioned the lack of transparency regarding the software employed to weed out duplicate voters. The CEO was also asked if due process was followed in reaching out to the voters whose names were struck off the rolls. A comparison of voter data between 2014 and 2018 reveals a drastic drop in the number of electors by 29.87 lakh. The Electoral Roll Data 2018, published by the EC, reveals Telangana’s voter population to be 2.53 crore. This marks a sharp decline from the 2014 data when the number of electors stood at 2.83 crore. At a press conference in Hyderabad on 25 October, CEC OP Rawat had said that a revised electoral roll in October showed 2.73 crore voters in the state. However, ordering spot verification of complaints made by political parties, Rawat had said that a second supplementary voter’s list will be published on 19 November. All those on the list will be eligible to vote in the state elections, he had said. The updated list, however, is not available on the Telangana EC website. ALSO READ: How 'Nuseir Yassin' Message of Positivity Stems From Privilege In His Vlog 'Nas Daily'? ‘Latest Tech’ Used for Voter-Role Purification – What Latest Tech? According to a report, CEC Rawat, during a visit to Telangana on 25 October, had justified the voter deletions saying that the EC had used the latest technology to purify the electoral rolls. What is this latest technology? No one really knows. Srinivas Kodali, a Hyderabad-based independent researcher, had filed a PIL in Hyderabad High Court urging the court to direct the EC to make the algorithm of the software public. Why Were These Names Deleted? 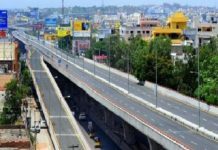 Telangana’s CEO Rajat Kumar had offered a number of explanations for the large-scale deletions. According to a report, Kumar, at a press conference, had attributed the drastic fall to mass migration of voters to Andhra Pradesh following the bifurcation of the state. This explanation, however, does not pass muster because a large-scale migration of Telangana’s electoral population would have resulted in a commensurate increase in voters in Andhra Pradesh. A look at the electoral list of 2018 reveals that Andhra, too, reported a decline in voter population by 21.5 lakh. In Andhra Pradesh, the state had 3.71 crore voters in 2015. This slid to 3.49 crore in the 2018 list. The other explanations offered were de-duplication of voters in the electoral rolls as well as deaths of voters. Rakesh Dubbudu, an RTI campaigner who runs Factly, a public information portal, questioned why such large-scale duplications and deletions have been found in the two states when there are no unique features to justify them. “There has been an average voter increase between eight and twenty percent in other states but Telangana and Andhra are two unique states where it has gone down sharply.” said, Rakesh Dubuddu, Founder, Factly Opposition Alleges ‘Political Conspiracy’ Between Govt and EC. The ECI, on 31 May 2018, had issued an order calling for a special summary revision of photo electoral rolls across the state of Telangana. The enrolment campaign was to end on 31 July. Following enrolment, the EC had ordered the Integrated Draft Electoral Roll on 1 September. Importantly, the EC had provided for a two-month period for claims and objections from 1 September to 31 October. This was to be followed by a one-month period for disposal of claims and objections. The final publication of rolls was scheduled for 4 January 2019. However, on 6 September, the then chief minister of Telangana K Chandrashekhar Rao dissolved the Telangana Assembly. On 8 September, the EC terminated its ongoing special summary program, and communicated a new truncated schedule. According to this new schedule, the period for claims and objections was reduced from two months to two weeks. Subsequently, the period for disposal of claims and objectives came down from one month to nine days. The final publication of electoral rolls was scheduled for 8 October instead of 4 January. The Congress in Telangana has alleged a political ‘conspiracy’ in the new truncated schedule. 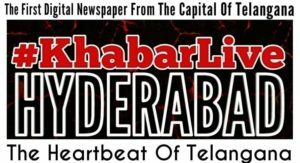 Speaking with #KhabarLive, Telangana Congress president, Uttam Kumar Reddy, said that it had made him “suspicious” of the EC. “See, the early elections are a result of Mr Narendra Modi, the Election Commission and KCR. It is a conspiracy of all three together. Otherwise how do you explain that this gentleman dissolves the assembly on 6 September, and whatever schedule he announces himself in the press meet, the Election Commission announces the same schedule? Too many coincidences make us suspicious of the Election Commission.” said, Uttam Kumar Reddy, President, Telangana Pradesh Congress Committee. The Electoral Registration Officer (ERO) is a quasi-judicial authority and is vested with the power to carry out suo moto deletions, but he has to give reasonable notice to the citizen and also hold a public hearing to listen to any contestations. The provisions pertaining to the deletion of voters are prescribed in the Representation of People Act, 1950 and Registration of Electors Rule, 1960. The Act states rules pertaining to correction of entries in electoral roles and states that “before taking any action on any ground under clause” the Electoral Registration Officer “shall give the person concerned a reasonable opportunity of being heard in respect of the action proposed to be taken in relation to him”. 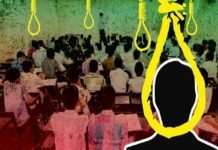 Bihar serves as a case study in the false positives and negatives that the software had thrown up in 2015, a year when the state went to polls. An RTI query has revealed that during the pilot phase, the software had identified almost 37,54,648 voters from among the draft publication of electoral voter rolls as possible duplicates. However, after all the possible duplicates were verified by the field officers, only about 2,47,789 voters were deleted. Dr.Naina Balsawar is an experienced Journalist based in New Delhi and conncected with #KhabarLive Group since 2005. Presently she is the Executive Editor for #KhabarLive Group editorial activities.